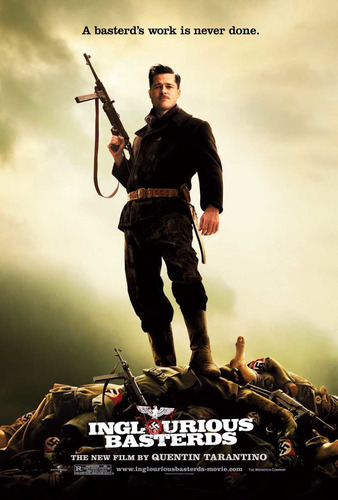 Inglourious Basterds Poster. . HD Wallpaper and background images in the Inglourious Basterds club tagged: inglourious basterds quentin tarantino brad pitt poster 2009. This Inglourious Basterds photo contains manganganyon. There might also be navy seal, seal, green beret, mga espesyal na pwersa, and pili kawal.